Completely aside from the investigations using the gravitational focusing of the Sun, there are a great many scientific investigations that could be carried out by the FOCAL mission on the basis of being a deep space probe. The innumerable scientific advantages of such a deep space probe have already been pointed out by the TAU deep space mission proposed by JPL in the 1980s. TAU stands for “one thousand astronomical units,” and the seminal paper, titled “Preliminary Scientific Rationale for a Voyage to a Thousand Astronomical Units” was compiled by Maria Ines Etchegaray in JPL Publication 87–17 (May 15, 1987). 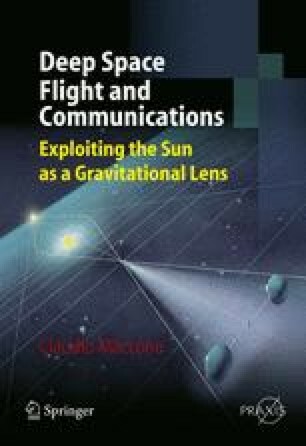 This chapter, as well as the author’s proposal to ESA for the FOCAL space mission, follows that publication closely.